earth to ocean staff and associates contributed to the selected journal papers, reports and publications listed below. Click on the headers below for the information associated with that heading. 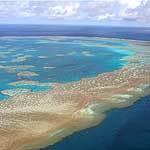 Day, J., Fernandes, L. and B. Jago (2005) Planning for the future of the Great Barrier Reef. Queensland Planner. 45(3): 12-14. Fernandes, L., James, D., Koudstaal, R., Rijsberman, F.R. and Wijffels, A.T.M. (1996) A conceptual framework for measuring sustainable use of the North Sea. Oceans Yearbook 12: 358-377. Smyth, C., L. Fernandes and D. Ceccarelli. 2012. Protect our Coral Sea Coalition submission to the first public consultation period on the Draft Coral Sea Commonwealth Marine Reserve management plan. Protect our Coral Sea Coalition, Sydney. 70pp. Fernandes, L. 2012. 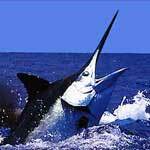 Securing the Oceans’ Benefits. Report to WWF-International, Gland. Fernandes, L. 2011. Corporate training and development – needs assessment. Report to the Human Resources Directorate, James Cook University. Day, J. C., J. Tanzer, V. Chadwick, L. Fernandes, and B. Jago. 2007. The relative roles of science, public participation and political support in rezoning the Great Barrier Reef. Pages 559-561 in J. C. Day, J. Senior, S. Monk, and B. Jago, editors. International Marine Protected Area Congress. IMPAC1, Geelong. - Website 15MB. Day, J. C., J. Tanzer, L. Fernandes, A. Chin, and D. R. Wachenfeld. 2007. 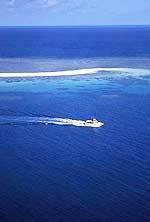 Evaluating the effectiveness of management of the Great Barrier Reef Marine Park. Pages 639-643 in J. C. Day, J. Senior, S. Monk, and W. Neal, editors. International Marine Protected Area Congress. IMAPC1, Geelong. Website 15MB. Fernandes, L., J. Day, B. Kerrigan, D. Breen, B. Mapstone, R. Coles, G. De’ath, T. Done, H. Marsh, I. Poiner, T. Ward, D. Williams, and R. A. Kenchington. 2007. Biophysical principles to design a network of no-take areas: the Great Barrier Reef case study. Pages 203-205 in J. Day, J. Senior, S. Monk, and W. Neal, editors. International Marine Protected Area Congress. IMPAC1, Geelong. Website 15MB. Jago, B., J. C. Day, L. Fernandes, L. Thompson, J. Hall, K. Sampson, B. Kingston, D. S. Cameron, M. Russell, and D. Lowe. 2007. Involving the community early - the variable role that communities can play in MPA management: experiences and lessons learned on the Great Barrier Reef. Pages 353-355 in J. C. Day, J. Senior, S. Monk, and W. Neal, editors. International Marine Protected Areas Congress. IMPAC1, Geelong. Website 15MB. Lewis, A., J. C. Day, L. Fernandes, D. Lowe, and S. Slegers. 2007. Analytical tools - what they can, and cannot, do when developing MPA networks. Pages 524-526 in J. C. Day, J. Senior, S. Monk, and W. Neal, editors. International Marine Protected Area Congress. IMPAC1, Geelong. Website 15MB. Lowe, D., A. Lewis, J. C. Day, L. Fernandes, S. Slegers, L. Muller, and P. Tudman. 2007. 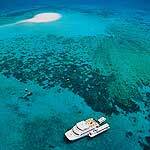 Decision support systems - a practical example in the Great Barrier Reef Marine Park. Pages 575-576 in J. C. Day, J. Senior, S. Monk, and W. Neal, editors. International Marine Protected Areas Congress. IMPAC1, Geelong. Website 15MB. GBRMPA (1999) Protecting biodiversity: an overview of the Representative Areas Program of the Great Barrier Reef Marine Park Authority. GBRMPA Booklet. Westmacott, S., P.Klinckhamers, L.Fernandes, F.Rijsberman. 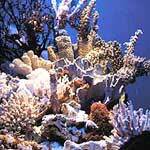 (1995) Cost-effectiveness analysis of coral reef management and protection: A case study of Curacao. Phase 2 Field Visit Project Report Prepared for the Latin American and Caribbean Environment and Urban Development Division (LA3EU) of the World Bank by Resource Analysis (RA/95-212). Loudat, T.A., L.Fernandes and R.Kanter. (1992) The economic impacts of the "Kaneohe Bay Task Force Master Plan recommendations". Prepared for the Office of State Planning, State of Hawaii.